After working in painting and photography in college, I became intrigued with the intimacy of fiber/textiles; their textural, tactile richness, the pliable plane, the inherent grid of the weave, as well as the complex cultural roles of this medium. There is a culturally ingrained preciousness to fabric.Â We must not tear, scorch or soil our ‘good’ clothes.Â And yet these textiles have a tempting vulnerability.Â My work is based on the act of violating this taboo. I use a unique, self-developed physical technique (a complex, free-reverse appliquÃƒÆ’Â©) which makes use of the intrinsic properties of my materials while creating an interesting interplay of surface and structure. The lack of barriers between art and life in primitive and other non-Western cultures inspires in my own work the commitment to pursue aesthetic investigation in a medium(fiber) traditionally outside of our own culture’s fine art hierarchy. 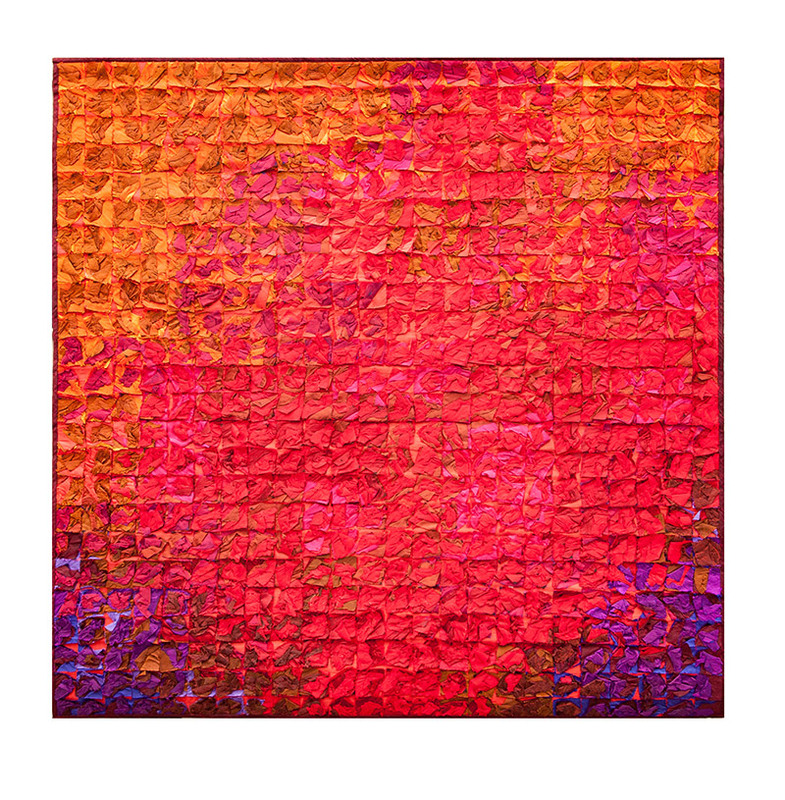 Internationally known artist Tim Harding makes large-scale textiles out of colorful Chinese silks and other vibrant materials. 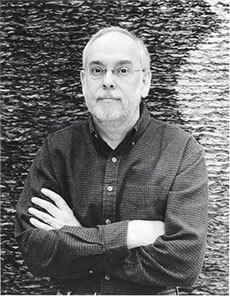 Harding’s work can be found around the world in museums and private collections, including the Smithsonian-Renwick Gallery, Washington DC, Cooper-Hewitt Museum, New York, Boston Museum of Art, Racine Museum of Art, and the San Francisco Museum of Art. Tim Harding resides in Minnesota where he has maintained a studio for over 30 years.